Update: There is now a YouTube video tutorial for this project! 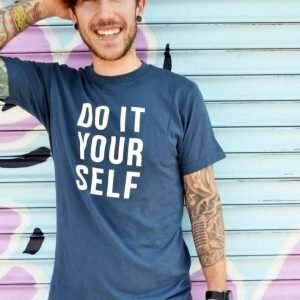 But, if you’re looking for the step-by-step, here we go! 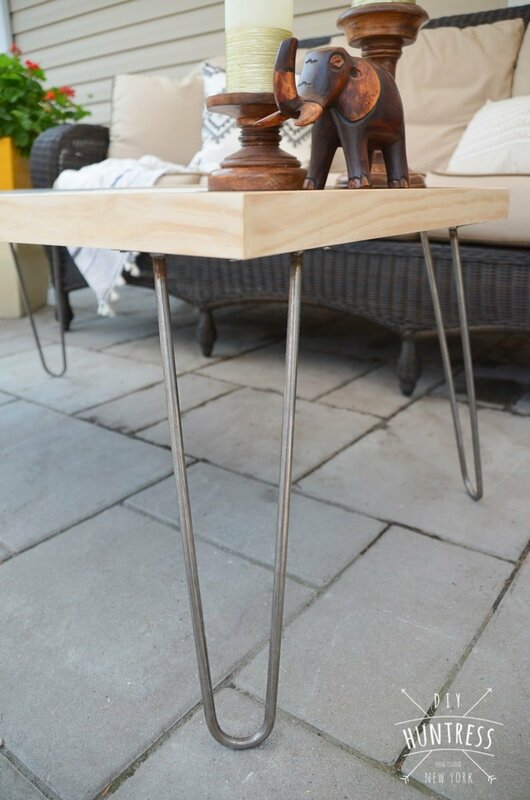 One of the coolest things about this table to me is that it has handmade hairpin legs from DIY Hairpin Legs. Nothing beats a nice pair of legs (if you know what I mean). These things friggin’ rock (I’ll show you how easy they were to assemble later on, but I just had to brag about them for a hot second first). Let’s get started. 1. 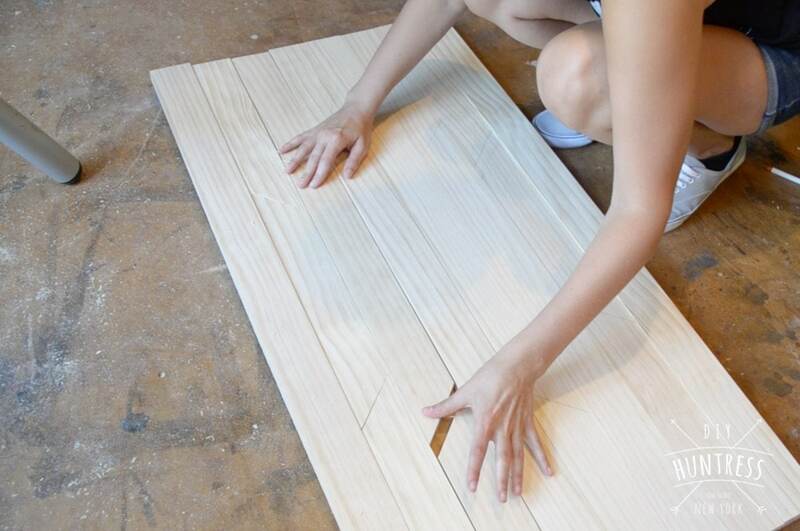 Cut your plywood board to size. Because I used 1 x 3″ boards (ps. 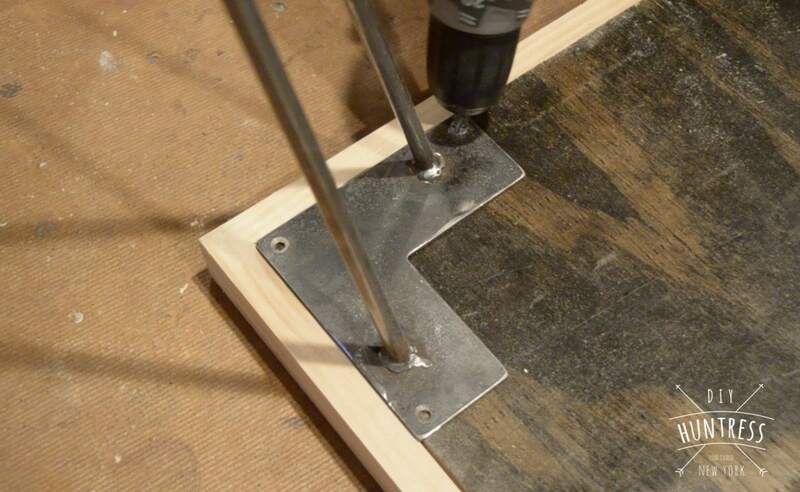 the real measurements for 1 x 3’s are ¾ x 2½”) for this project, and had 8 boards to use, I cut my plywood to 20 x 40″. 2. 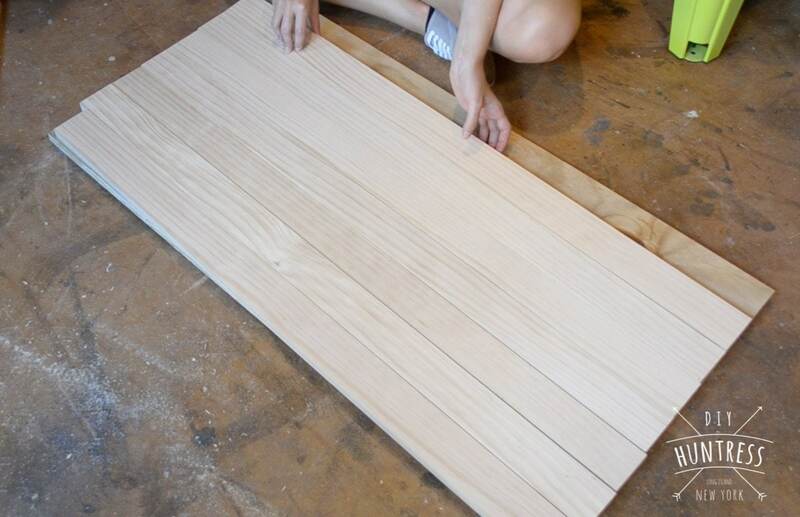 Next, cut your 8 table top pieces into 40″ long strips. 3. 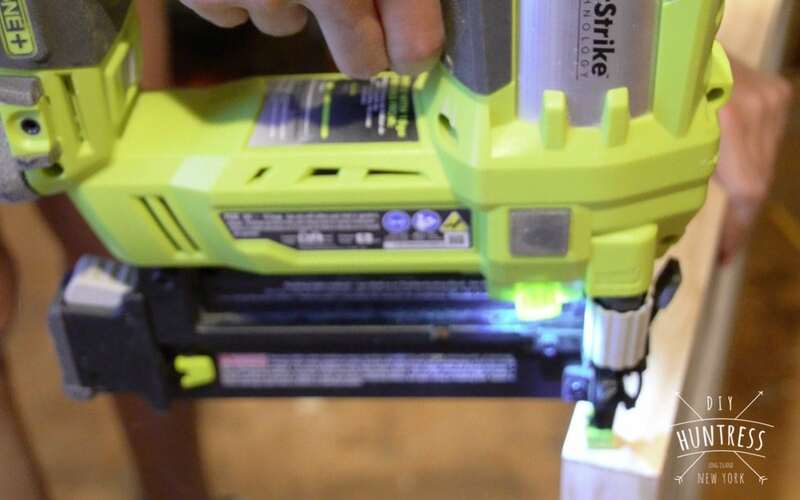 Use one of the cut offs from a leftover 1 x 3″ and make a 45 degree cut. This will be used as a stencil/template for making your design later. 4. 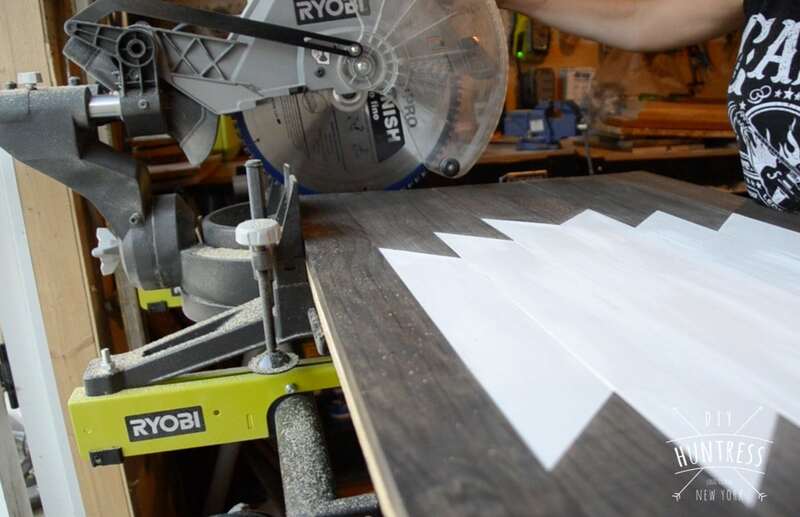 Set all 8 of the 40″ pieces on top of the plywood and line them up. 5. 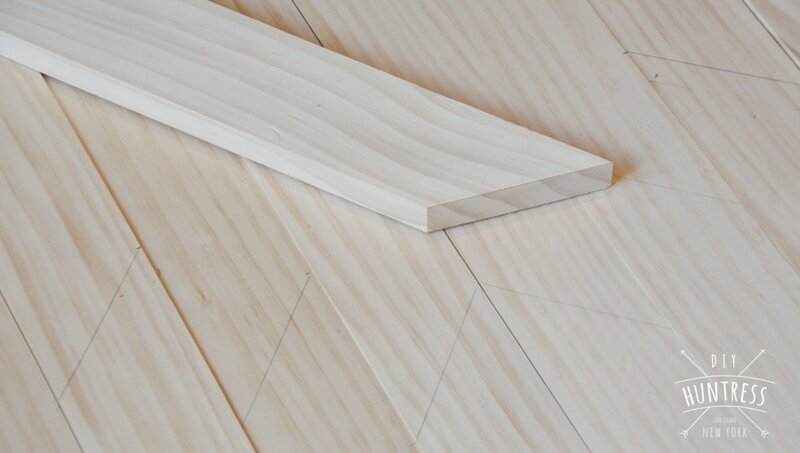 Once you are happy with the placement, use the 45 degree cutoff to begin tracing the cut lines for your design. 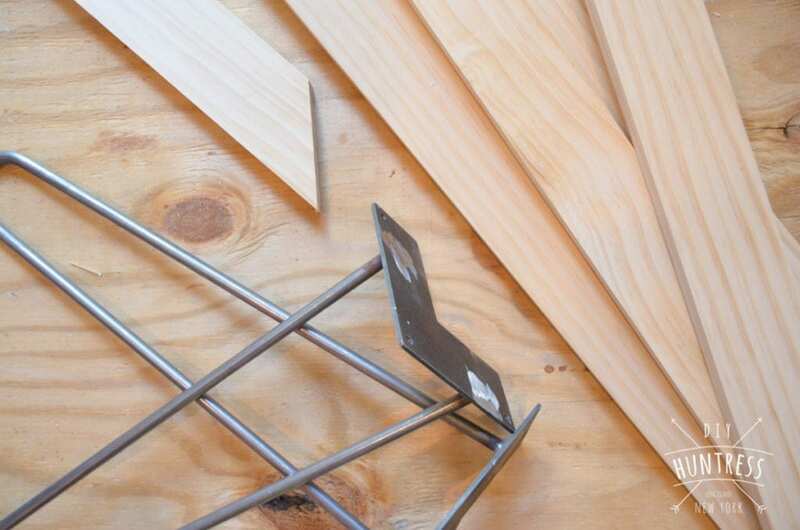 Measure all of your inner angles from the outsides in on both ends to make sure the design is centered. 6. 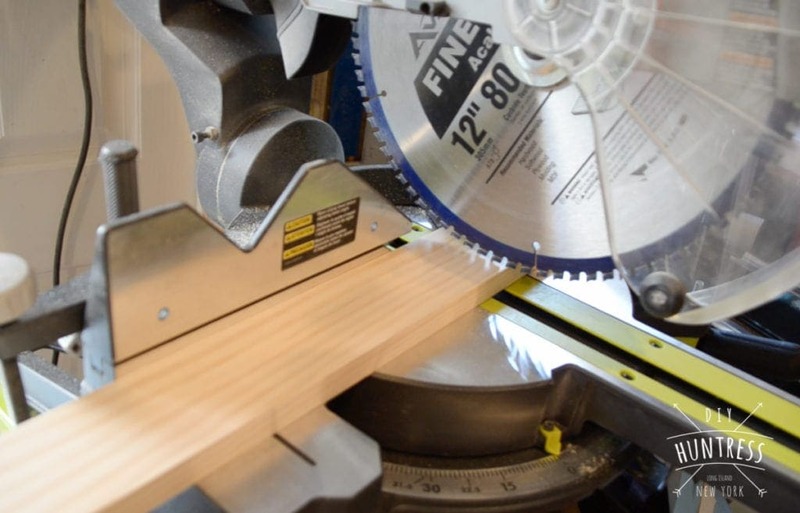 After you are done tracing the lines, use your miter saw to cut along the 45 degree markings. Make sure to do one line at a time so no piece gets misplaced. 7. 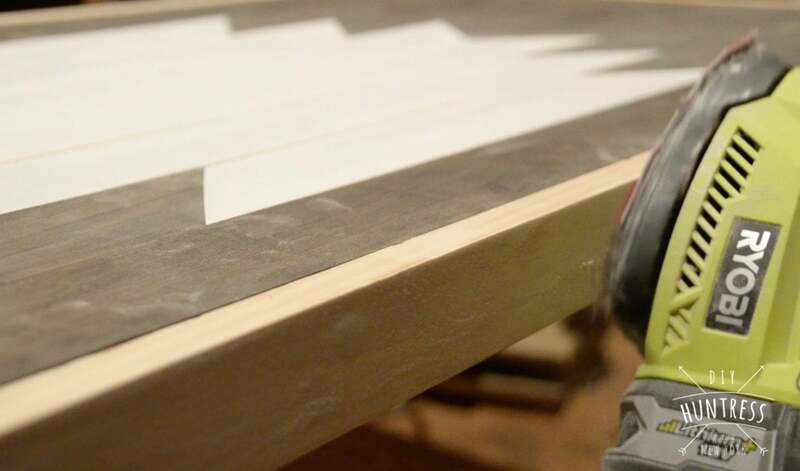 Once all of the pieces are cut, use your sander to smooth down the faces and edges. 8. Next, stain and paint your pieces. 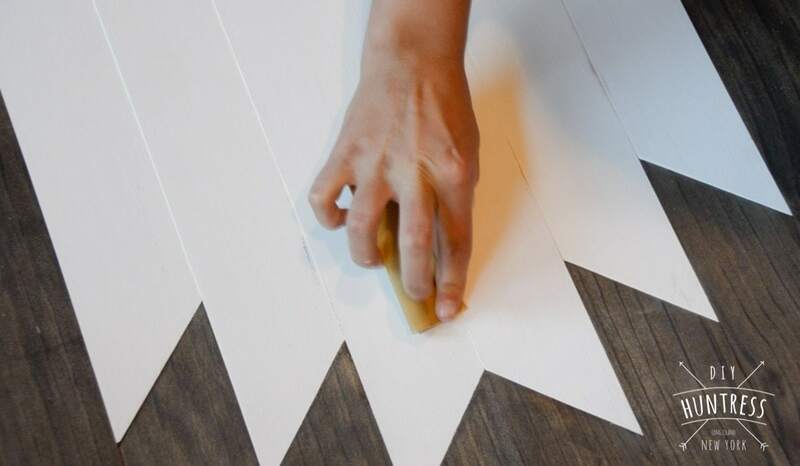 This will make it easier to assemble everything in the next step without having to tape things off. 9. 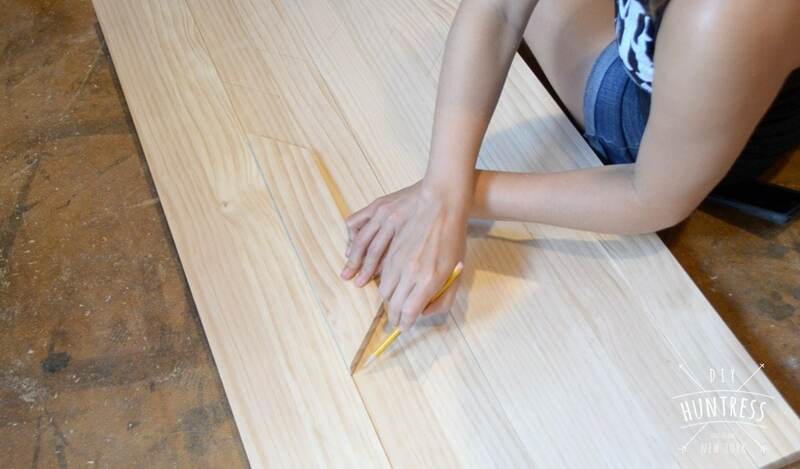 Once everything is dry, begin to assemble the table top by attaching the boards to the plywood. I personally didn’t want any nail holes in my table (filled or unfilled), so I used my DAP Rapid Fuse Wood Adhesive to permanently adhere the boards. You can use a nail gun here if you would like. 10. Once the pieces are dry, you can take time to distress or add detail to the top pieces. I thought the flat white was a bit too stark, so I used 150 grit sandpaper to create a rustic look. 11. 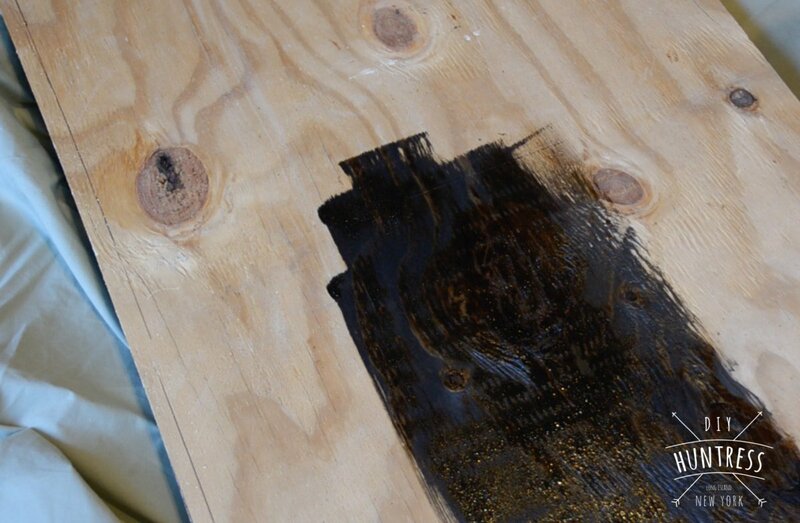 Flip the table top over and give the bottom a coat of stain to match the top. 12. Because we made some 45 degree cuts, some of the boards may not line up completely after assembly. 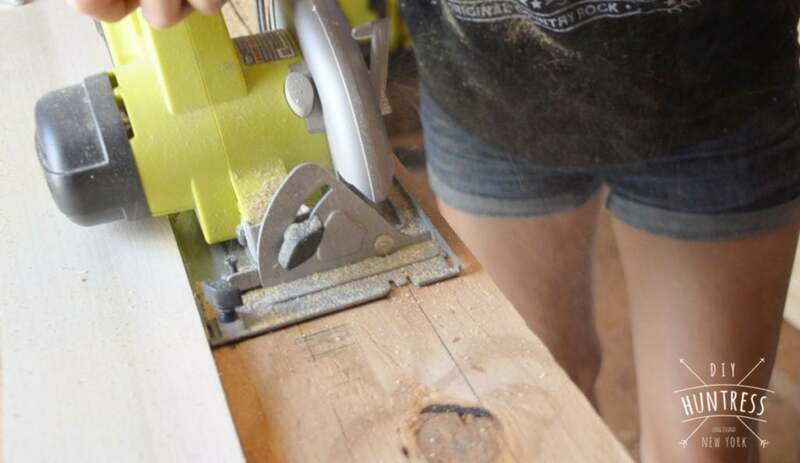 So, when everything is dry, just use your saw to even out the ends of the table top. 13. 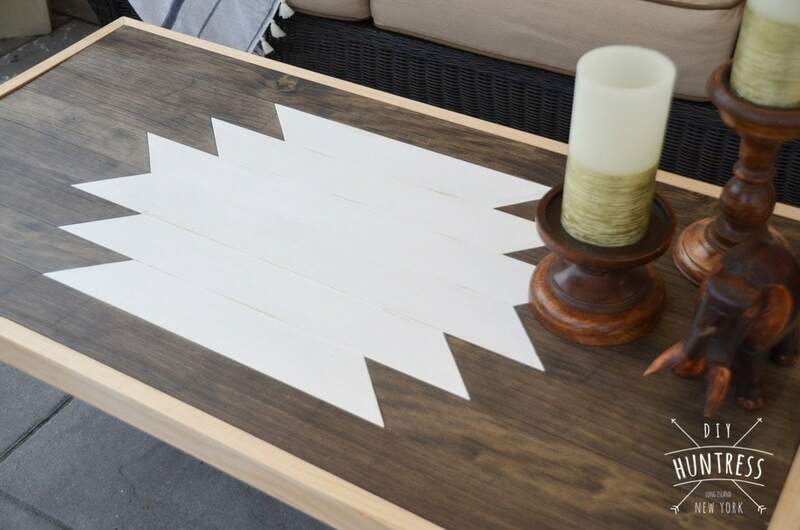 Next, create borders for the table top. 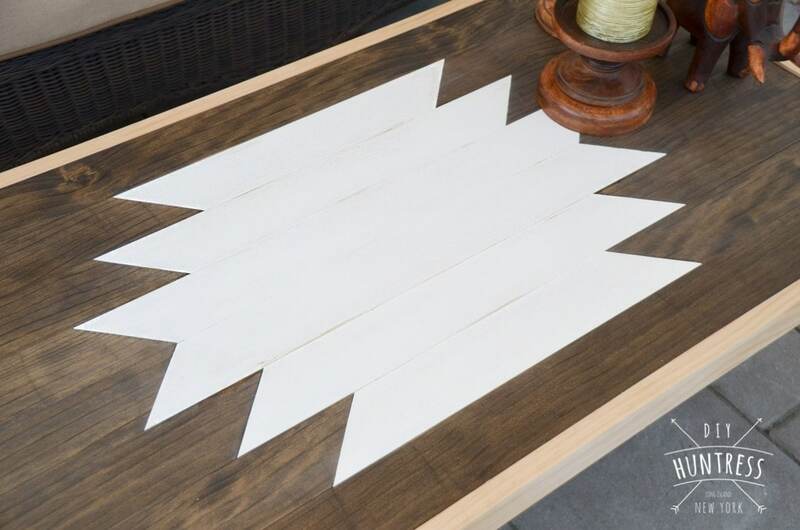 I created mine with 45 degree miters at each corner for a cleaner look. 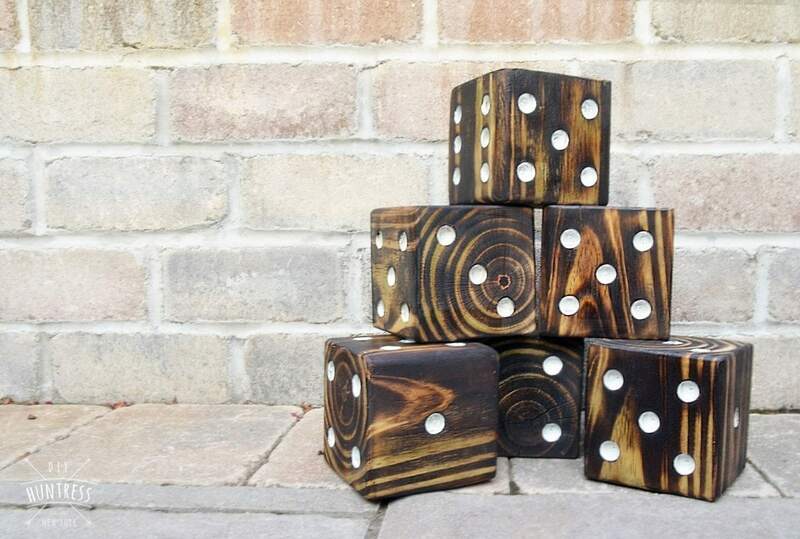 You can attach these to the table with a nail gun. 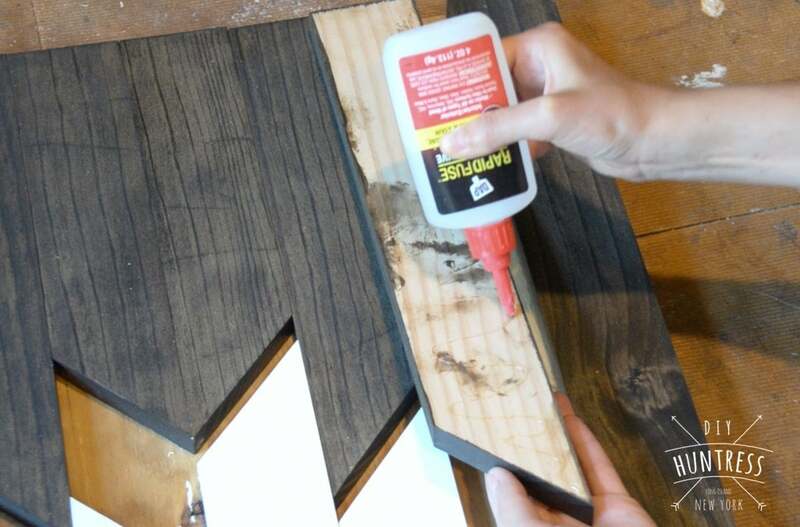 Fill the holes with wood putty. 14. 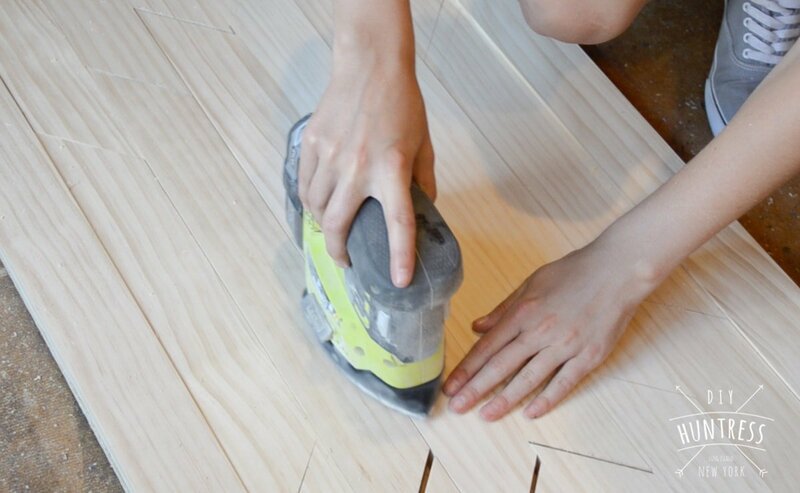 While the wood putty dries, attach your table legs. 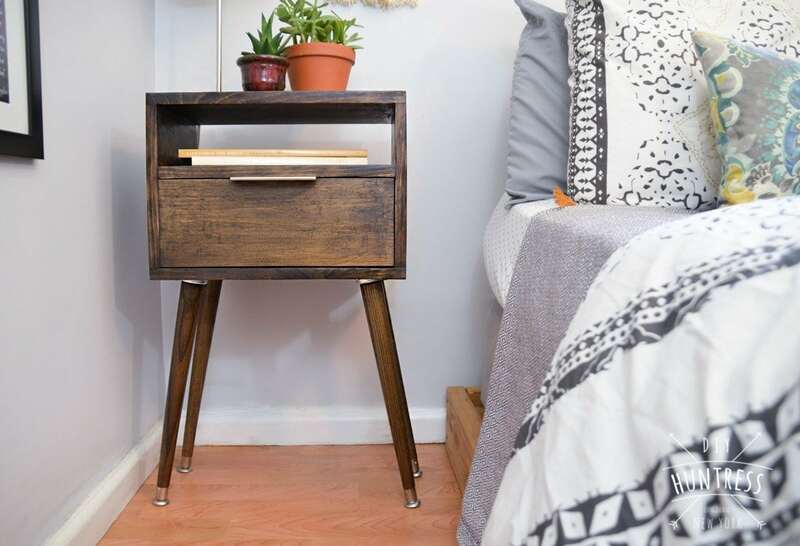 Like I said, I am obsessed with the table legs that were sent to me from DIY Hairpin Legs. 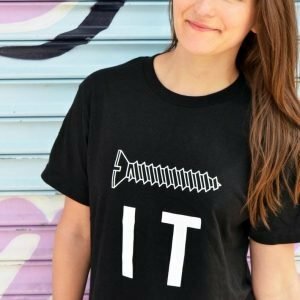 All it took was a few screws to get them in place. 15. 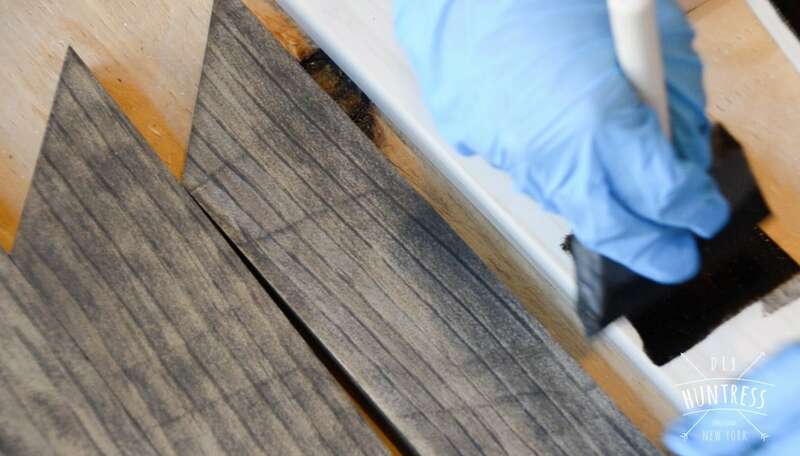 Sand down the leftover wood putty on the borders and then seal your table with a protective coat. 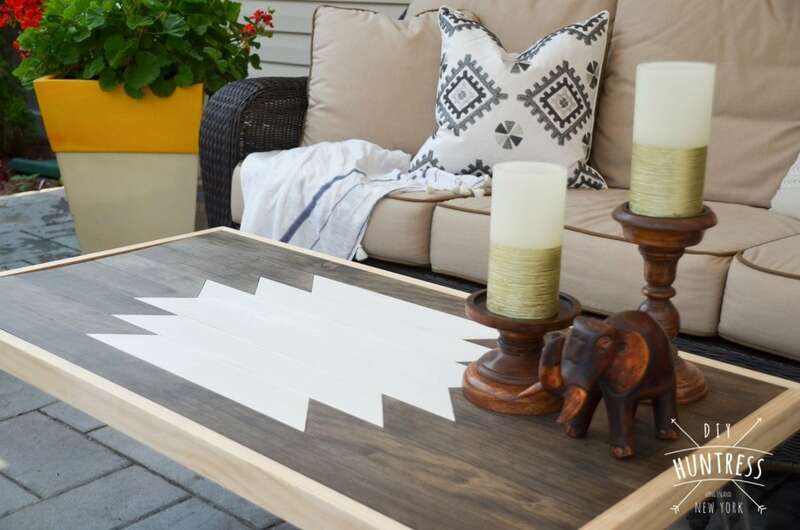 Now admire your new coffee table… because heaven knows I sure did. I’m pretty much obsessed. Lies. I am obsessed. It is so easy to have fun with a project like this! 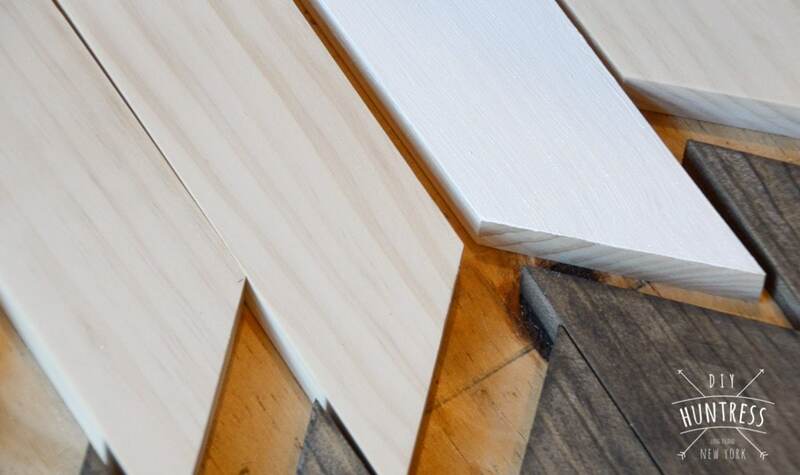 You can add more 45 degree cuts, different colors for the wood, or even play around with the types of legs you add to the table. If you loved this project and want to see it in action, I’ll have a YouTube video up within the next few days which goes through the process! So, keep an eye out for it! 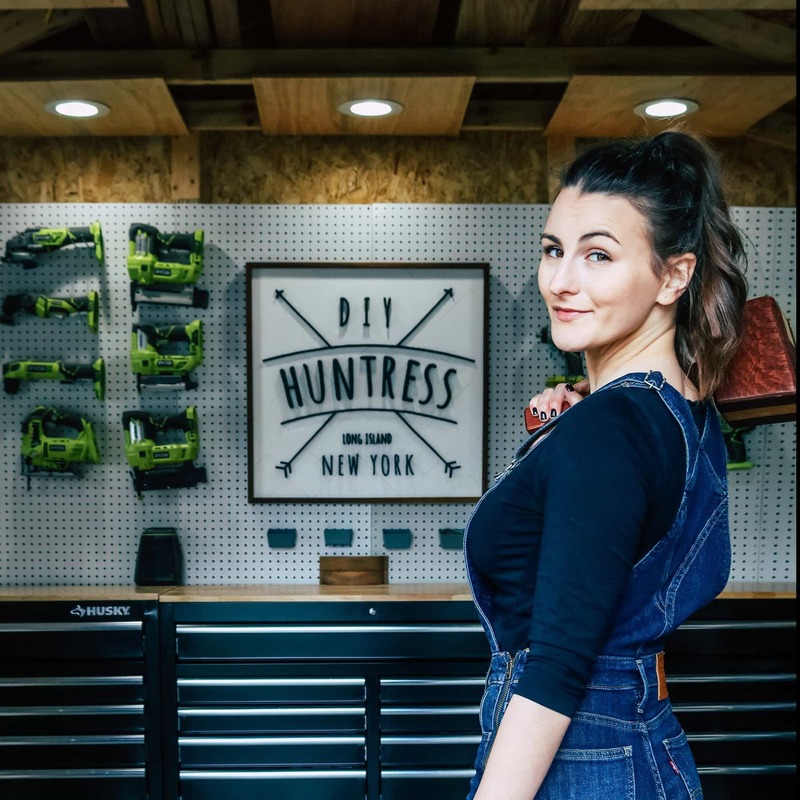 In the meantime, make sure to check out some of my other recent builds and also share your favorite projects with me on social media! * A giant thanks to DAP Products Inc. & DIY Hairpin Legs for the products used in this project. 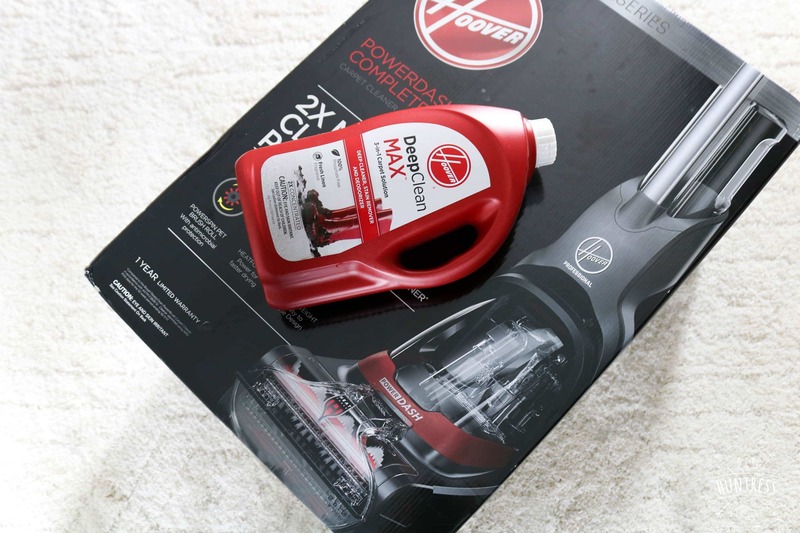 I genuinely think their products rock, not just because they were provided to me. Seriously, they’re awesome. This is too good!!!!!!!!!!!!!!!!!!!!!! Well done, it is beautiful. I wish there was a heart eyes emoji option on WordPress comments… Thank you so much!!! 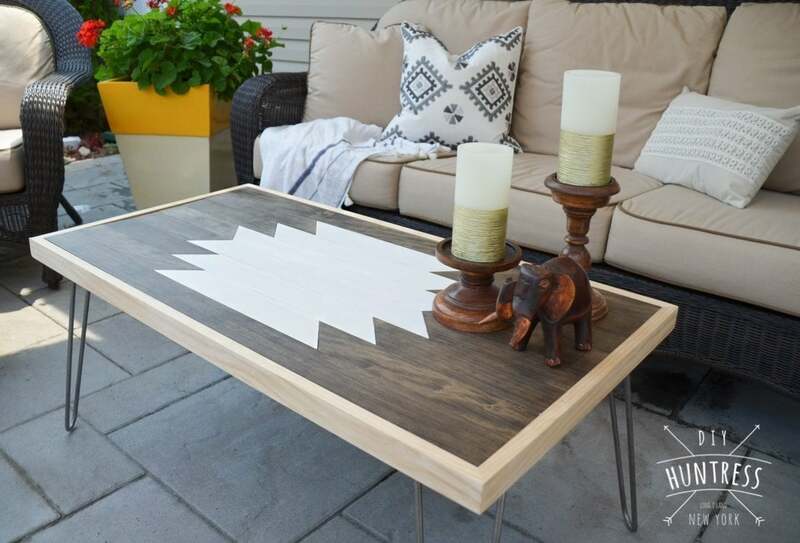 I love your geometric wood art table! It’s so pretty. Thanks so much, Gail! It was so awesome meeting you at Haven! Has this stood up over time? Has the wood bowed at all? Hi Abi! I used Minwax Stain in Jacobean for this table. Hope that helps! I’ve got a lot of experience myself of designing and constructing wooden tables. I build handmade snooker tables, using very similar techniques that you have mentioned here. That’s so awesome! Thanks for the love! Beautiful table! What size and diameter did you use for the Hairpin Legs? Thank you! The legs are 16″ tall hairpin legs. Hope that helps!